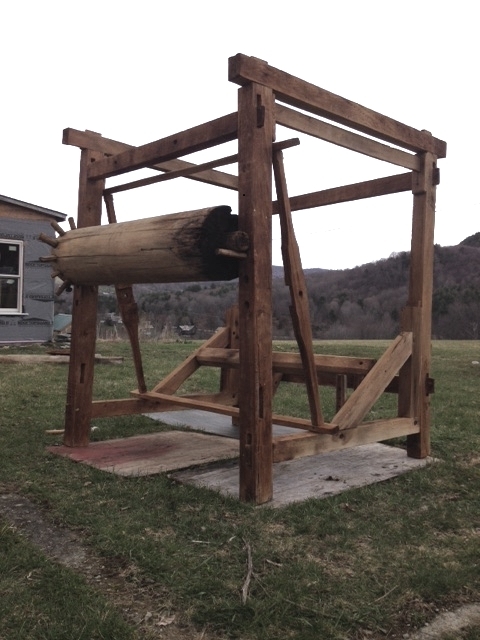 This week’s guest blog comes to us from our fellow builder and timber framer, Glenn Tarbell, who is currently restoring a 1780s timber frame from Tinmouth, VT.
We found this loom in a 1780s homestead in Tinmouth, Vermont. 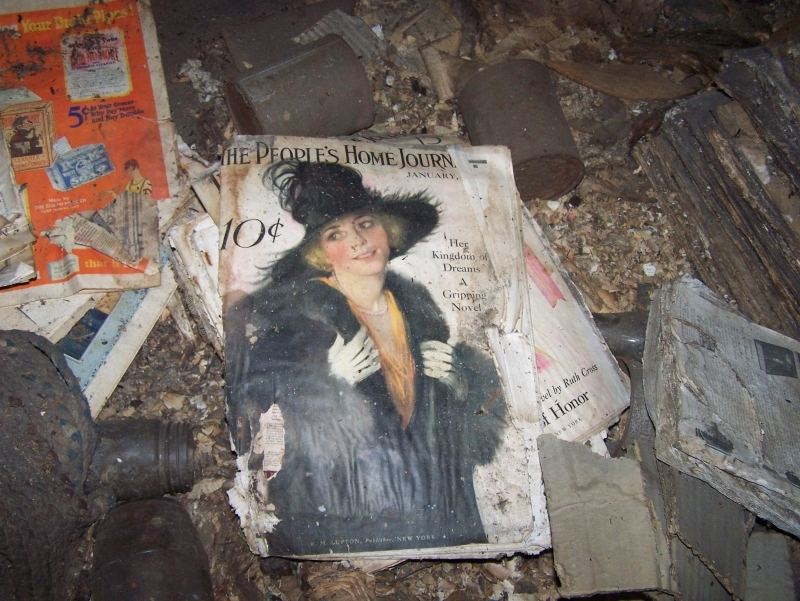 It was in the attic of a timber frame house I was taking down to restore for future construction. This particular timber frame has a fascinating rafter system. 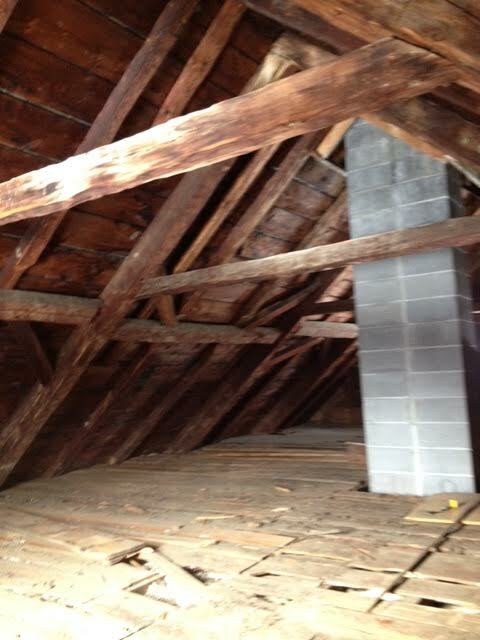 When I first assessed the frame, I went upstairs to take a look at the construction of the rafter system in this house. 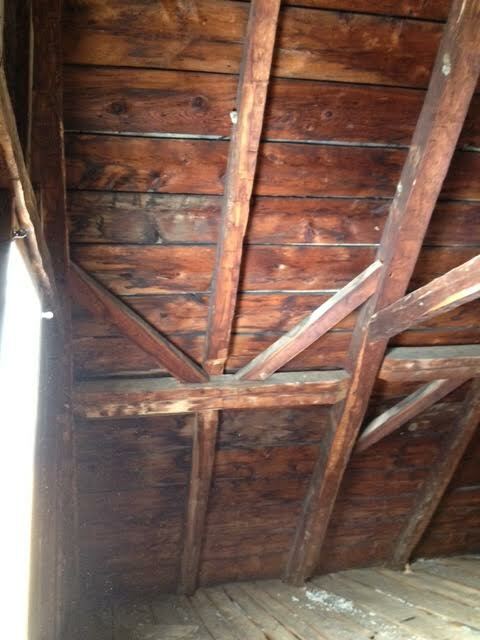 The rafter system was really strong with horizontal ties and bracing, not what you would find in many houses that early. It must have been built with an eye to the future – when roofs were made of slate – even though the frame was likely cedar-shingled the day it was built. The house also stood on a hill which has strong winds. The strong bracing and ties may have been added to ensure that the house would be able to withstand the unforgiving winds of a Vermont winter on a barren hilltop. It was during my trip upstairs that I first caught a glimpse of the loom. Immediately, I thought it was an interesting and exciting discovery. The loom was scattered about the attic amid old magazines, glass jars, Model-T car pistons, feather or thresh bed mattresses and other old things that get stashed in an attic over 200 years. I gathered the pieces of the loom from all corners of the attic. The big massive log where the fabric ends up was tossed in one corner, while another piece was on the far eve side of the house. The frame of the loom was still together, standing right next to the chimney. What is most beautiful about the loom is the craftsmanship. It’s built like a proper timber frame, as if it were a piece of furniture, or part of the house itself. When restoring any timber frame, the first task is to remove all the contents from the house and then begin to dismantle the frame. 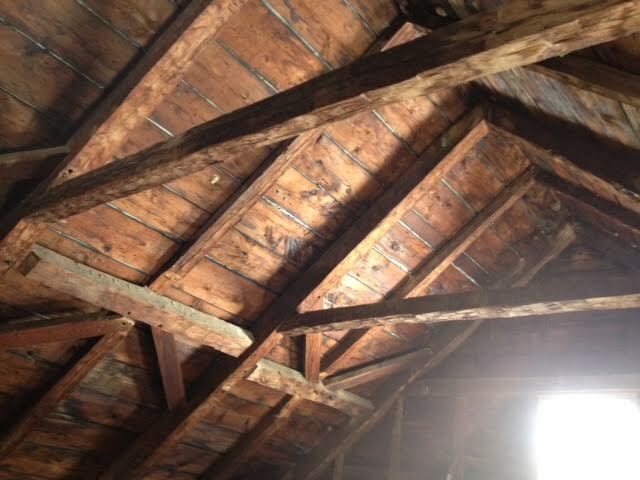 Because the work of historic timber frames is so much about preserving history, we save what we think is valuable or interesting for the new owner of the restored timber frame house. In this case, the loom was put aside, washed, and stored in Vermont. It will be shipped and delivered to the new owner together with the restored frame next spring. The loom cleaned up nicely! I know there must be more to the loom then what I found, and I would love to see the loom in working condition with fabric once more being woven. 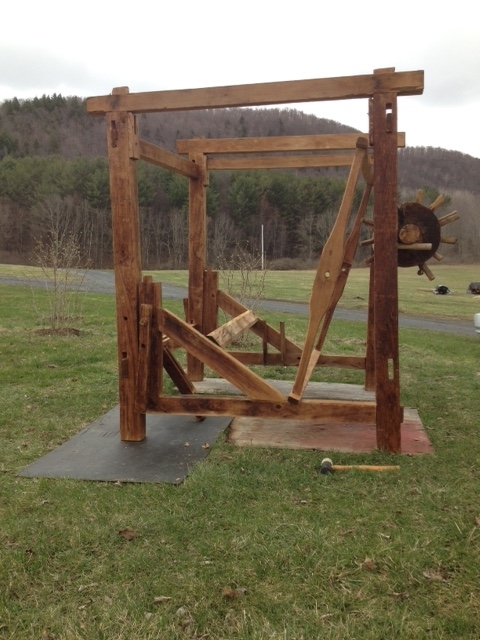 This entry was posted in Guest Blog and tagged American Arts and Crafts, American heritage, colonial america, colonial weaving, historic properties, historic weaving, historical barn, historical preservation, loom, post and beam construction, weaving by Green Mountain Timber Frames. Bookmark the permalink. Excellent blog. I’m sure comments will pour in. This is really cool! I hope that you get help in discovering what is missing so it can be completely restored!